It's been a long time since I made a post about The Last Match and it's time to bring it back. This time I'm digging deep and looking at some of the Legends of Japanese wrestling. 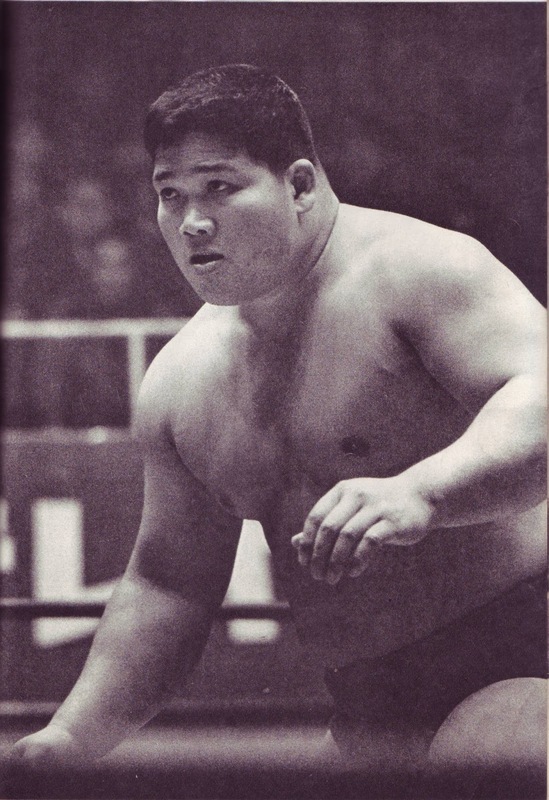 The Father of Puroresu debuted in 1951 was a former Sumo wrestler before making the change to the squared circle. He established the promotion Nihon Puroresu Kyokai or Japan Pro Wrestling Alliance and established a training school. He captured many championships in the Japan and a few in the United States. He died December 15, 1963 from peritonitis a week after being stabbed by Yakuza member Katsuji Murata in a Tokyo nightclub on December 8th. 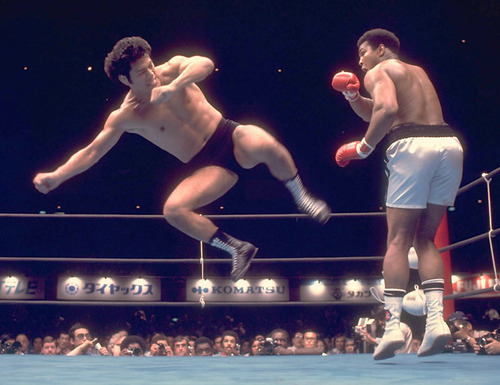 Inoki began his training with Rikidozan in 1960 at the age of 17. What he is best know for is his June 26, 1976 shoot match against Muhammad Ali that was not good. He is also known for founding New Japan Pro Wrestling in 1972. In 1995 he stages the two day wrestling festival for peace in Pyongyang, North Korea that drew a combined 340,000 fans to the two events and saw Inoki defeated Ric Flair in their only match against each other. A multiple time champion with titles from around the world he is also one of only a few people to be inducted into both he WCW & WWE Hall of Fame's. Trained by Rikidozan alongside Antonio Inoki both men debuted on the same night. In 1972 several months after Inoki launched NJPW Baba opened his own promotion All Japan Pro Wrestling. Holding several championships in Japan he was also a three time NWA World Heavyweight Champion. Baba died January 31, 1999 at the age of 61 from cancer. 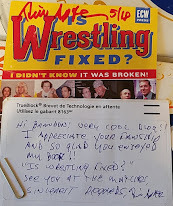 A former Sumo wrestler he turned to professional wrestling in 1954 joining the JWA. 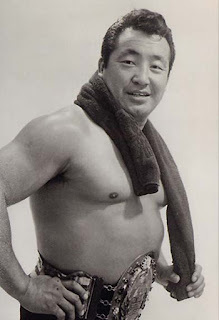 He became the second most popular wrestler in Japan behind Rikidozan, the two of them held multiple All Asia Tag Team Championships. After Rikidozan's death Toyonobori and others would continue running JWA where he became the number one draw for a few years. In 1966 he formed Tokyo Pro Wrestling but it folded in less than a year. 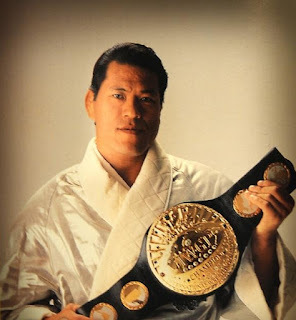 He announced his retirement in 1970 but came out of retirement two years later when Inoki launched NJPW to help provide name value for his cards. He died on July 1, 1998 from heart failure. Toyonobori is often overlooked in the history of Japanese wrestling for the layperson. 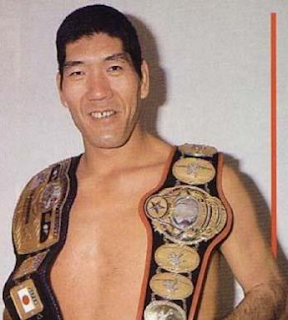 Most all have heard of Rikidozan and his two prize students Inoki and Baba who would go on to form the two biggest promotions in the history of Japan. I can't find any of his matches on New Japan World but there are some on YouTube.